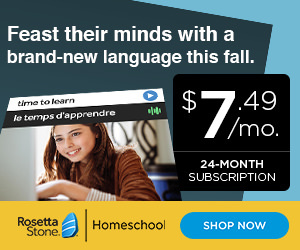 Designed with your child’s success in mind, Rosetta Stone Homeschool is the effective way to bring a foreign language curriculum home, providing long-term retention and a critical lifelong skill in today’s world. Don’t miss out on our special holiday offers! 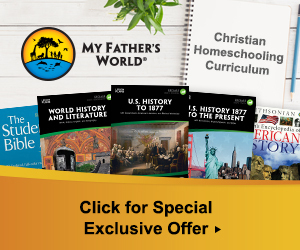 Give the gift of learning with My Father’s World. Encourage exploration for the young adult in your life with courses on everything from music and art to math and science. This year give the gift of a great vocabulary! 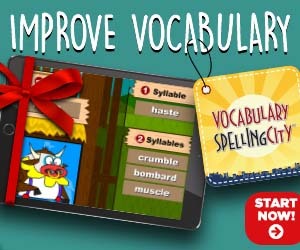 With Vocabulary Spelling City students will learn new vocabulary and spelling words plus improve reading comprehension. 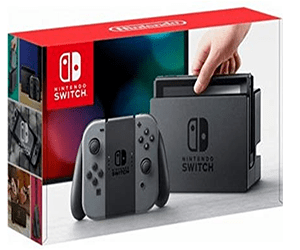 With 40+ games your kids will have loads of fun! Time4Learning is an award-winning, online curriculum for PreK – 12th grade covering math, language arts, science, social studies and electives. With no schedules and student-paced learning, you can start homeschooling your way! Sign up today and receive the 14-day money back guarantee! 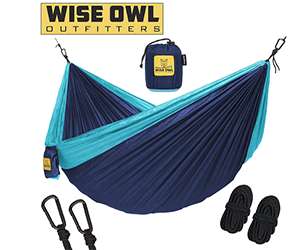 Give the Gift of Learning! 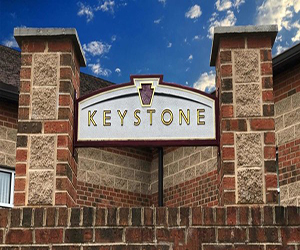 The Keystone High School offers electives on courses that enable teens to explore their strengths! Entrepreneurship, Digital Design, Forensic Science, Health Science, Accounting, Personal Finance, and more! 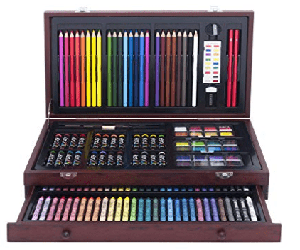 Sure to please the budding artist in your group, this artist set has a deluxe wood case with removable drawer to conveniently store art supplies along with 3 types of drawing and painting medium including: pencils, crayons pastels and watercolor painting. 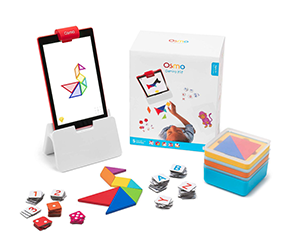 Osmo Genius Kit for Fire Tablet – Turn core subjects like math (Numbers), spelling (Words), art (Masterpiece), geometry (Tangram), and physics (Newton) into fearless fun. 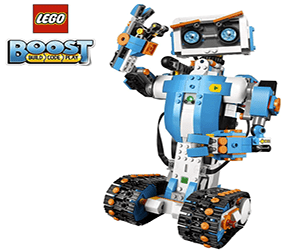 Lego Boost Robotics Kit is an award winning STEM toy. This activity set encourages children to learn basic robotics and coding skills! The Hands Game is a great gift for the silly ones on your list! 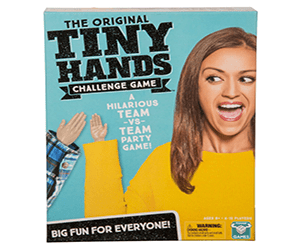 Team up and compete in outrageously fun physical stunts using TINY HANDS! Take a card, make a wager and play to win! 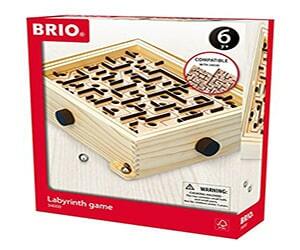 The Brio Labyrinth Game is a challenge for the whole family! Balance the ball around the holes using two adjusting knobs to tilt the board. 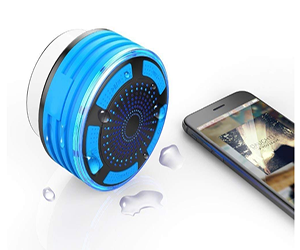 Helps develop hand-eye coordination, perception and concentration. 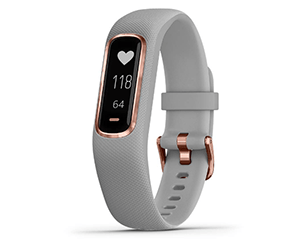 The Garmin vívosmart 4, Activity and Fitness Tracker is perfect for staying in shape whether you are exercising for fun or if you are a serious athlete. 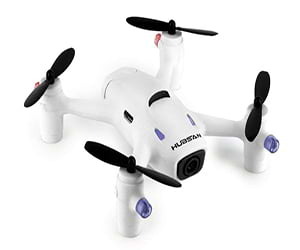 Hubsan X4 Camera Plus H107C+ 2.4Ghz 6-Axis Gyro RC Headless Quadcopter is a fun way to enjoy the outdoors! 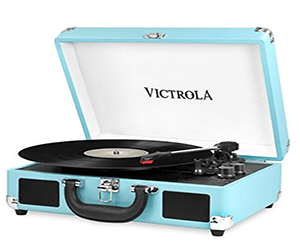 Victrola Vintage 3-Speed Bluetooth Suitcase Turntable with Speakers is a retro blast back to the past! 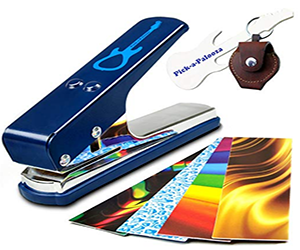 Pick-a-Palooza DIY Guitar Pick Punch with Leather Key Chain Pick Holder lets a young musician create his own picks. 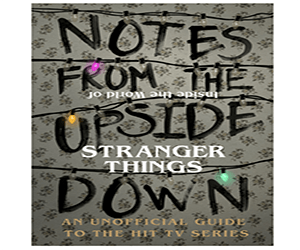 Notes From the Upside Down – Inside the World of Stranger Things: An Unofficial Handbook to the Hit TV Series is a great stocking stuffer! Your adventurous settlers seek to tame the remote but rich isle of Catan with this Catan Board Game. 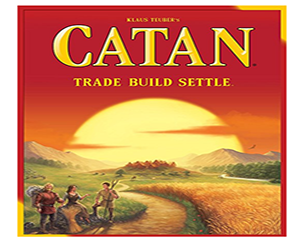 Start by revealing Catan’s many harbors and regions: pastures, fields, mountains, hills, forests, and desert. The random mix creates a different board virtually every game. Who says cheaters never win?! 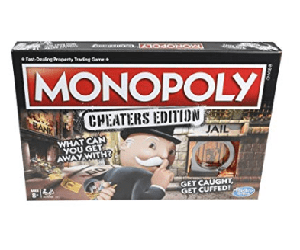 Follow, bend or break the rules to win the Monopoly Cheaters Edition of the Monopoly board game. Cheating is part of the game. 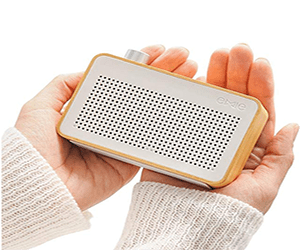 EMIE Minimalist Wooden Portable Bluetooth Speaker , Radio-designed Home Speaker with Super Bass , Works with Apple iPhone , iPad , Samsung and More. 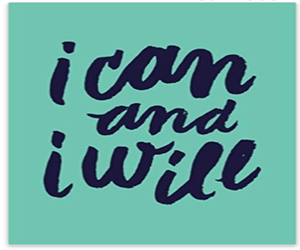 I Can and I Will: 100 Pages Ruled – Notebook, Journal, Diary is a great stocking stuffer to start the new year with. 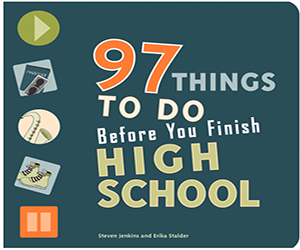 97 Things to Do Before You Finish High School Being in high school is about a lot more than going to high school. It’s about discovering new places, new hobbies, and new people. 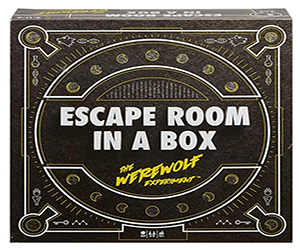 Escape Room in a Box: The Werewolf Experiment– What a fun way to do what us homeschoolers do best, socialize! 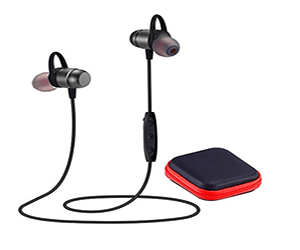 Bluetooth Headphones offer the latest Bluetooth Technology: The headphones feature the latest Bluetooth 4.2 technology that offer a more stable and faster connection between devices, you can enjoy music and calls while running, biking, and other forms of exercise. Potato chips, Silly Putty, and many other familiar things have fascinating stories behind them. 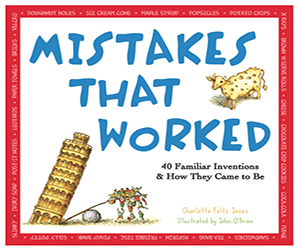 Mistakes That Worked offers forty of these unusual tales, along with hilarious cartoons and weird and amazing facts. 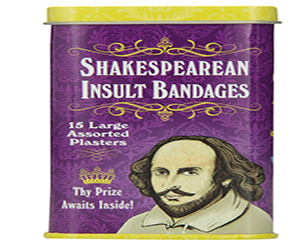 Shakespearean Insult Bandages make fun stocking stuffers! 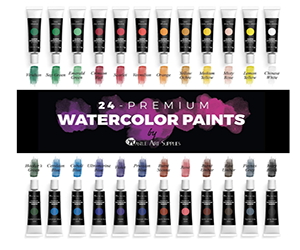 Castle Art Supplies Watercolors Paint Set is perfect for your aspiring artist! 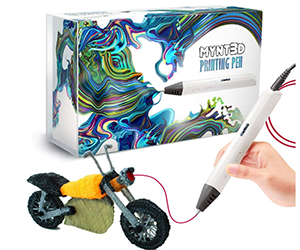 Professional Printing 3D Pen brings a whole new dimension to creativity. 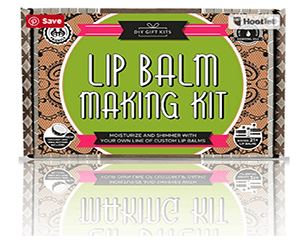 COMPLETE LIP BALM KIT – This set includes everything needed for fresh, natural lip balm, such as tubes, essential oils, shea and coconut butters and a Lip Balm Filling Tray Built Right Inside!! 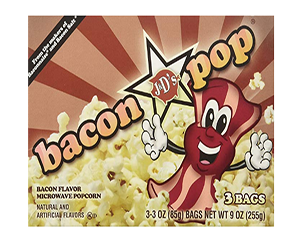 Bacon Pop Bacon Flavored Microwave Popcorn is a tasty stocking stuffer for your bacon lover. 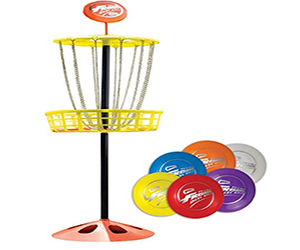 Wham-O MINI Frisbee Golf Set is great fun outside!